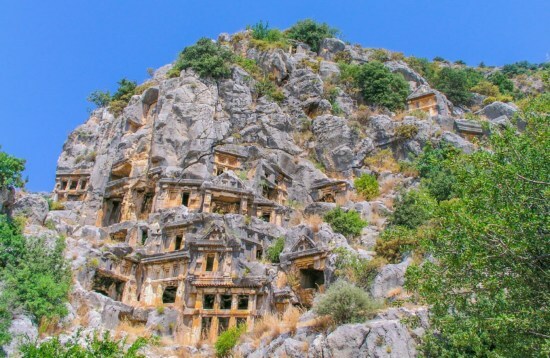 Built on the site of ancient Myra, Demre lies on the Teke Peninsula between the turquoise waters of the Mediterranean Sea and the forested slopes of the Taurus Mountains. Coins dating as far back as 300 BC have been found in the area, testament to Myra’s standing as one of the most important cities in ancient Lycia. It flourished as part of the Roman Empire and was home to Saint Nicholas of Myra who evolved into the figure of Santa Claus.